The family of a deaf man shot dead by a North Carolina state trooper is calling for improved law enforcement training on how to handle citizens with disabilities. Daniel Harris was shot by trooper Jermaine Saunders during a traffic stop in Charlotte on the evening of Aug. 18. Saunders made several unsuccessful attempts to pull Harris’s Volvo over on Interstate 385 for speeding, police said. The eight-mile pursuit ended in Harris’s neighborhood at Seven Oaks Drive, where he lived. “While on Seven Oaks Drive, the driver exited his vehicle and an encounter took place between the driver and the trooper causing a shot to be fired,” reported the Charlotte Observer. According to the Harris family, the 29-year-old father was hearing impaired and may be what led to Harris not following Saunders’s commands. 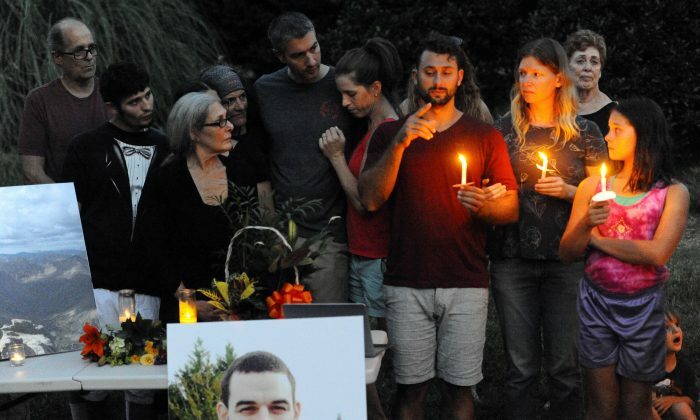 “The police need to become aware of how to communicate with deaf people, what that might look like and how to avoid situations like this from ever happening again,” Daniel’s brother, Sam Harris told WSOC during a vigil on Aug. 22. Sam, his parents, and other family members are deaf. Neighbor Mark Barringer echoed similar sentiments. In the wake of the shooting, the family launched a YouCaring page to help raise money for the cremation process. With any remaining money, the family plans to establish a foundation in his name to provide educational tools for law enforcement to properly confront the deaf community. The State Bureau of Investigations is currently conducting a criminal investigation into the shooting death.